People are now becoming more concerned about the importance of eating healthy and nutritious food. Some of the more widely known and often advertised healthy food and supplements include fish oil and omega 3. These two are frequently linked since fish oil is often thought of as synonymous with omega 3. In this article, we’ll tell you more about fish oil and omega 3 and how they are differentiated. Fish oil is the oil produced from the fats and tissues of fish. It contains EPA (eicosapentaenoic acid) and DHA (docosahexaenoic acid), which are fatty acids known to have a lot of health benefits including the reduction of inflammation in the body. Omega 3 is a type of polyunsaturated fatty acid. It has three forms, namely: ALA ( alpha-linolenic acid), EPA (eicosapentaenoic acid) and DHA (docosahexaenoic acid). EPA and DHA are found in fish such as sardines and cod. ALA is derived from vegetable oils, nuts, and seeds. 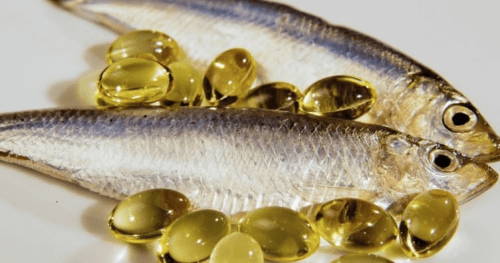 The main difference between fish oil and omega 3 stems from their structure and components. Fish oil is derived from the fats and tissues of oily fish while omega 3 is a naturally-occurring polyunsaturated fatty acid. Fish oil actually contains two of the 3 forms of omega 3 fatty acids, namely, EPA and DHA. The other form of omega 3 is ALA. Fish do not produce omega 3 fatty acids. Omega 3 is acquired by the fish through the consumption of other prey fish as well as microalgae. Omega 3, on the other hand, is not only found in fish but also in vegetable oils such as canola oil and soybean oil. Nuts and seeds rich in omega 3 fatty acids are walnuts, chia seeds, and flaxseeds. Fish oil is known to reduce inflammation in the body and also possibly prevents heart attacks, strokes, and macular degeneration. Omega 3 fatty acids are essential for normal metabolism. Other health benefits of omega 3 fatty acids are linked to fighting depression and anxiety, promoting brain health during pregnancy and early life, decreasing risk factors for heart disease, and improving eye health.